For your back-to-school list in September. 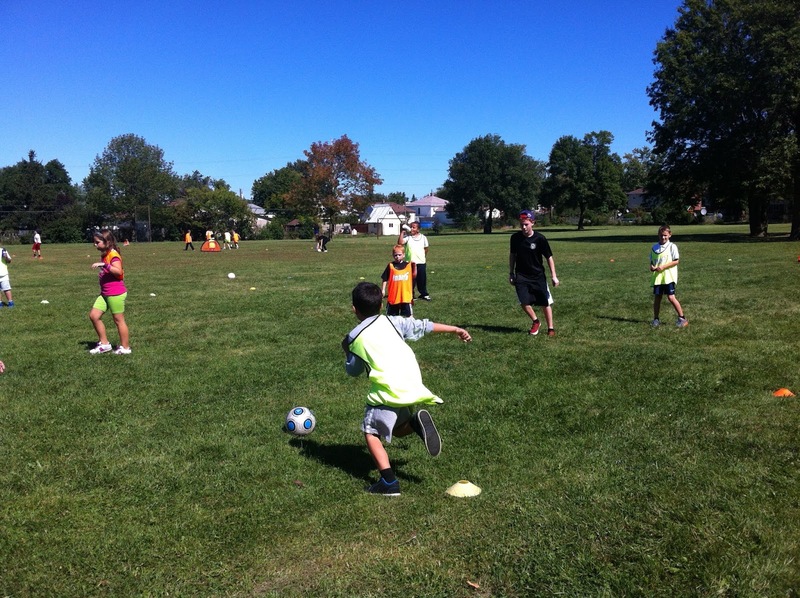 A nice addition to my soccer life has been involvement in festivals for elementary schools. I've had the pleasure of delivering three and helping out a bit with a fourth. Too many of our young athletes only play their desired sport when the formal session are organized. Sometimes when I get a pickup game going at a school I hear questions like "throw-in or kick-ins?" "Where is the box?" "What's out of bounds?" "They have one extra player!". We want them to realize that you don't need a board of directors and a formal schedule for a sport to happen.